Due to our quality focused approach and perfection; we have carved a unique niche in the market by presenting Malvani Masala Powder. - We have used the right balance of spices and flavorings from different parts of the country to give our Malvani gravy a unique and delicious flavor. 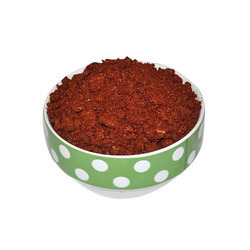 Malvani Masala, a spice powder from the Malvan region of the Sindhudurg district in Maharashtra, is used mainly in Maharashtrian and Goan cuisine.It blends in spices like dry red chillies, peppercorns, star anise, coriander seeds, cumin seeds, cloves, cinnamon, fennel and cardamom. The spices are dry-roasted until aromatic, ground to a fine powder. 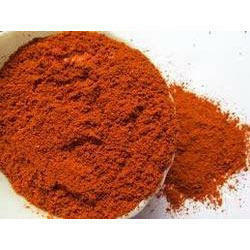 Can be used in all types of vegetables and also non-vegeterian food like chiken, meat and seafood like crabs and oysters. Coriander, Cumin, Black Pepper, Til, Bay leaves, Garlic, Clove Leaves, Salt, Chilly, Mustard, Fennel Seeds, Mace, Nagkesar, Trifla, Badiyan. Dried Red Chillies, Coriander Seeds, Cloves, black Peppercorns, Fennel Seeds, Cumin Seeds, Shahi Jeera(Black Cumin Seeds), Masala Elaichi(Black/Brown Cardmom), Cinnamon Sticks, Dagad Phool, Nag Kesar , Black Mustard Seeds, Dried Turmeric Root, Badal Phool, Whole Asafoetida Stones , Nutmeg Whole. Our customers can avail from us Malvani Masala which is extensively used in households. The offered product is processed using the best quality ingredients under the supervision of skilled professionals. We ensure that the product is packed in moisture-free environment. We offer this product in various packaging options. Malvani cuisine is very popular in Malvani region of the Western coast of India, and this masala is a special blend of spices that lends the cuisine its distinctive taste, and tends to be deliciously spicy. Sahil Tasty Foods & Beverages Pvt. Ltd.